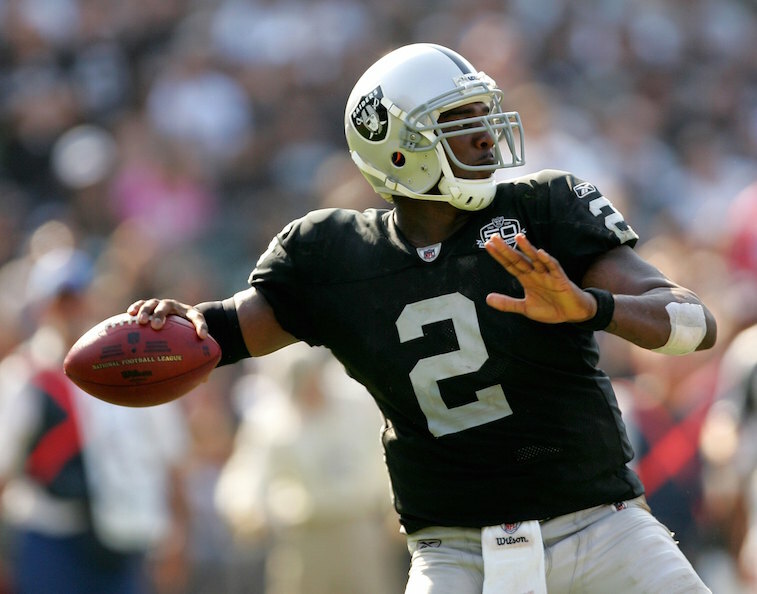 NFL: Is Jameis Winston the Next JaMarcus Russell? 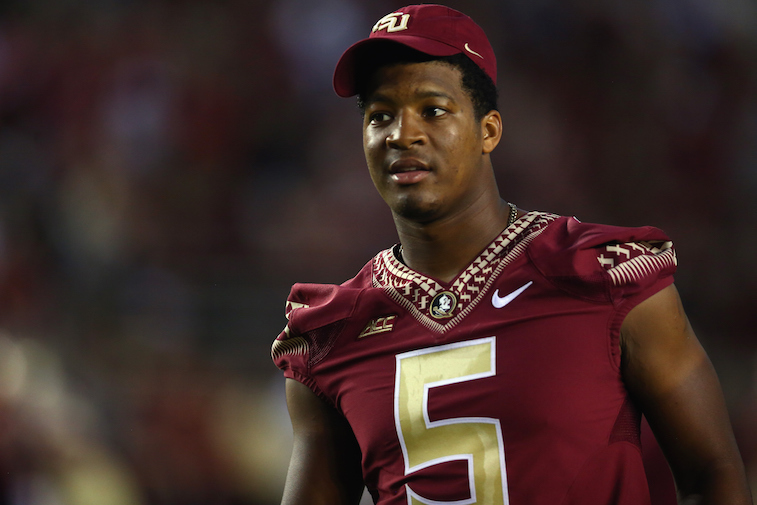 It appears as though the Tampa Bay Buccaneers are leaning heavily toward drafting former Florida State quarterback Jameis Winston with the No. 1 overall pick in the 2015 NFL Draft when the first round opens Thursday night. According to Bob McGinn of the Milwaukee-Wisconsin Journal Sentinal, multiple NFL personnel executives — who chose to remain anonymous — believe that the Buccaneers would be making a potentially franchise-crippling mistake in drafting the 2013 Heisman Trophy winner. These comments caused quite a stir around the league, but the fact of the matter is that the Tampa Bay staff, led by General Manager Jason Licht and head coach Lovie Smith, is highly unlikely to allow their opinions on Winston to be swayed by anonymous league sources. Truth be told, you have to question the motives of the two men who are responsible for these quotes if they insisted on anonymity before opening up to McGinn. If either of them were truly confident in their assessment of Winston, they would be willing to come out from behind the “anonymous NFL executive” tag. While it’s hard to completely buy into McGinn’s report given the nature of his sources, he did present an interesting thought. Could Winston really be the next JaMarcus Russell? As former Tampa Bay General Manager Mark Dominik put it, the comparisons between Russell (pictured) and Winston are “lazy” at best. It’s true that both players are massive human beings with big-time arm strength. They have also both proven to be incredibly immature at times, and both of them played in Jimbo Fisher’s pro-style offense during their college days. That’s where the similarities should end. Interestingly enough, Russell’s physical tools were actually stronger than those of Winston coming out of college. However, there are four traits that Winston has going for him that Russell never had. First, Winston has an NFL-caliber work ethic, while Russell was notoriously lazy. Second, Winston is a football junkie who possesses an incredibly high football IQ, while the Raiders couldn’t pay Russell enough to inspire him to spend time in the film room. Third, Winston’s competitive drive resembles something closer to Philip Rivers’s than Russell’s. Lastly, Winston has proven on multiple occasions that he is clutch and knows how to win. Russell did go 21-4 as a starter in college, but Winston was able to reel off 26 straight wins — with several fourth-quarter comebacks mixed in — before finally losing a game as the starting quarterback at Florida State. We’re not here to say that Winston is the next Peyton Manning or that he is a future Hall of Fame or Super Bowl-winning quarterback. We are, however, here to say that comparing him to JaMarcus Russell is absurd and foolish. Only time will tell how Winston’s NFL career will unfold, but there is little chance we will remember him in the same light as Russell, one of the biggest NFL draft busts of all time.